With the aim of improving your connectivity management experience, we are adding customer self care functionality. When a SIM is activated, it is provisioned with a default set of teleservices and roaming options. You now have the capability to view and adjust those options anytime by adding new ones or removing some. This can be done for one SIM or a set of SIMs. To identify systems on which to apply the operation, you can use the filters ‘provisioning is’ or ‘provisioning not’ to list all systems with or without a specific option. Then use the change provisioning action and add any option that is compatible with your offer. More details available in How-To change provisioning options. When a SIM card of your fleet is stolen or damaged, you may need to replace it with a new SIM from your stock. With the Swap SIM functionality, you will select the target SIM within your inventory and trigger a swap. The subscription linked to the system remains unchanged: only the ICCID will be altered while keeping the configuration related to the subscription (MSISDN, Static IP, offer, provisionning options, etc.). The stolen or damaged ICCID will be terminated as a consequence of the Swap. 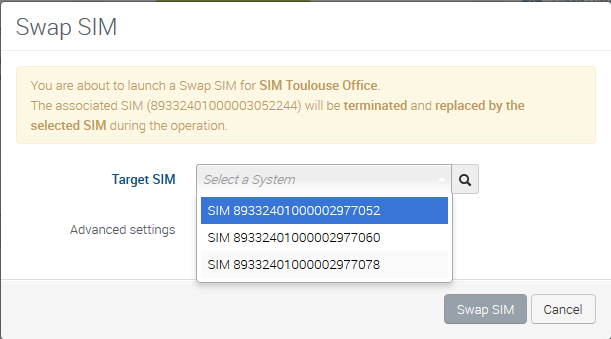 Swapping a SIM doesn’t have any impact on your invoice. 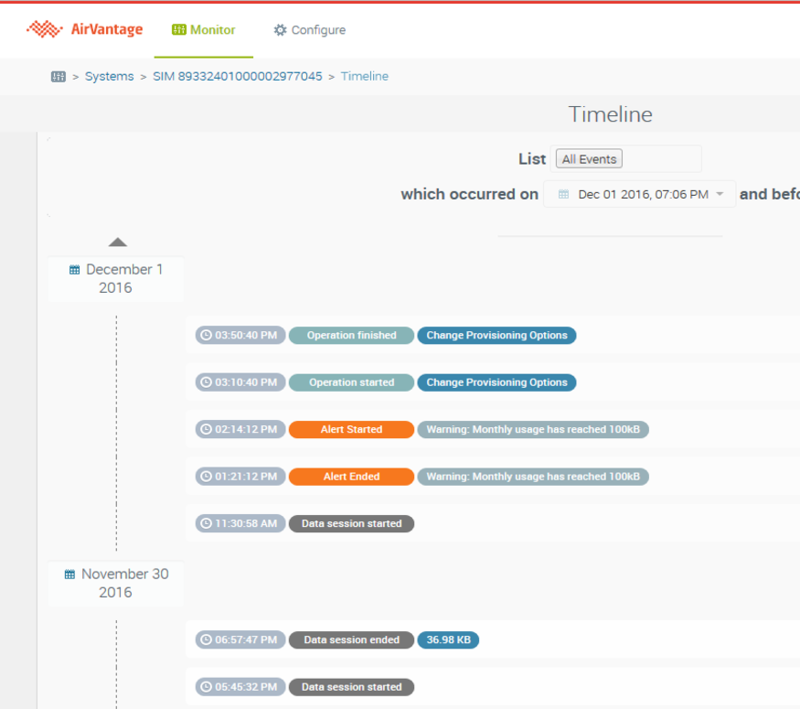 The AirVantage alerting engine has been enriched. 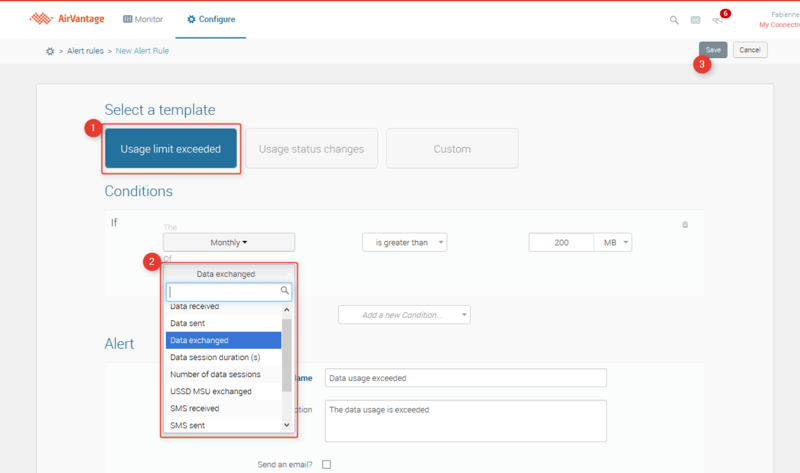 You can now create alert rules if the consumption of any type of usage reaches the specified daily or monthly threshold. The flexible ruleset for consumption alerting lets you efficiently avoid billshock. An alert rule can apply to one system only, to a subset of systems identified by a label, or to the whole fleet. The alert will be raised if ANY system covered by the selection reaches the chosen criteria. Having every event gathered in a time centric view lets you easily analyze the consequences of an operation on usage, or to view the recent usages that have triggered an alert. The Detach function can be used if you suspect an issue with the wireless service: for instance, the diagnostic shows that a session is on-going, but you are not able to effectively transmit data; or the diagnostic shows that your device is reachable but you are not able to send it an SMS. Clicking on ‘Detach’ in the Voice Status pane triggers a detach procedure from the network side. The device then restarts an attach procedure and also a data session is re-established from the beginning. Note that in most cases the device will register to the same network if this network is available. If you use an ADVANCED SIM you can also use the ‘Detach Data only’ functionality in the Data Status pane. 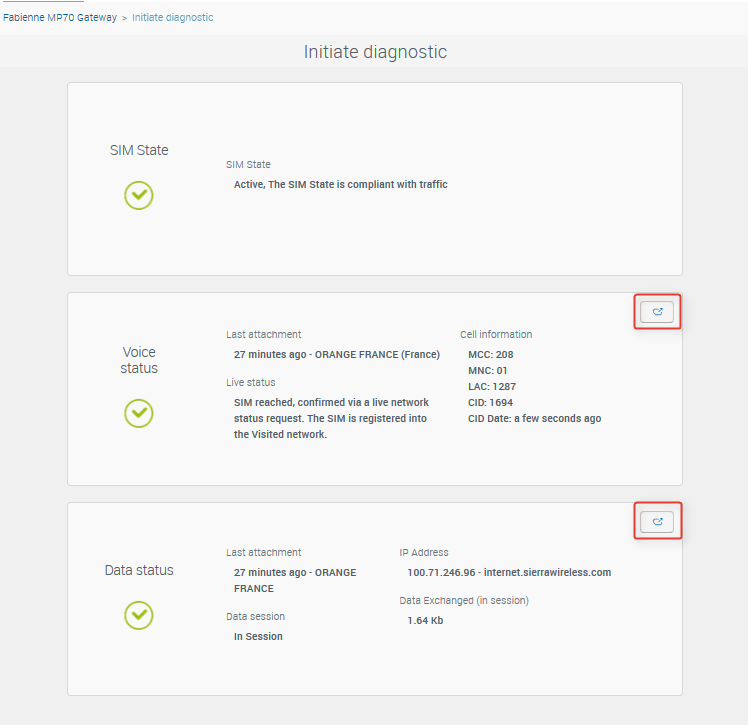 In this case, the SIM will automatically detect the loss of data service and the device will register to another network. 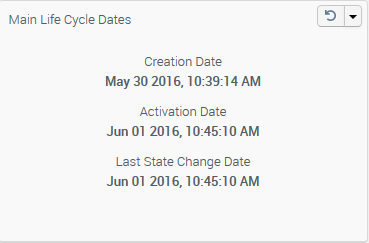 Creation date: date at which the SIM/System was added to your account as a result of your order. Activation date: date at which the SIM/System was activated. This date is also the one that is relevant for the engagement period. Last change change date: date of the last change of life cycle state. For instance if you suspend your subscription, the last change date will be the date of suspension. These main life cycle dates are also available in the grid. To display them, click on the grid configuration, select the check boxes for the dates to be displayed and validate your choice. You can also use the grid filters to identify the SIMs that have been activated prior to a date of choice or that have a last state change date that falls within a specific timeframe. USSD stands for Unstructured Supplementary Service Data. 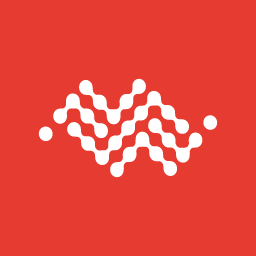 It is a connection-oriented service to send messages to cellular devices. As a connection-oriented service, the device must be online for the message to reach it. Using USSD, you can establish real-time interactions between your application and the device by implementing a request/response exchange. To send/receive USSD messages to/from a device, your IoT application will need to interface with our USSD Gateway. So that you can use this USSD service, and integrate it with your IoT application, we are providing a SOAP API. For more information about this API and also on how to enable this service, please refer to USSD Gateway documentation. Subaccount management is an optional feature. It is typically a useful way to restrict user access to just part of the global fleet. Usually subaccounts are used to split SIMs and resources between your own customers, or to manage different business units. In that case those identified users will be created at the subaccount level and will only be able to view and manage the SIMs within the subaccount. search for SIMs across the whole fleet. If you think this feature could be valuable for you, you can find more details in Subaccounts Documentation and then discuss the option with your usual sales contact.